To the dedicated Jaffas players and supporters, welcome! 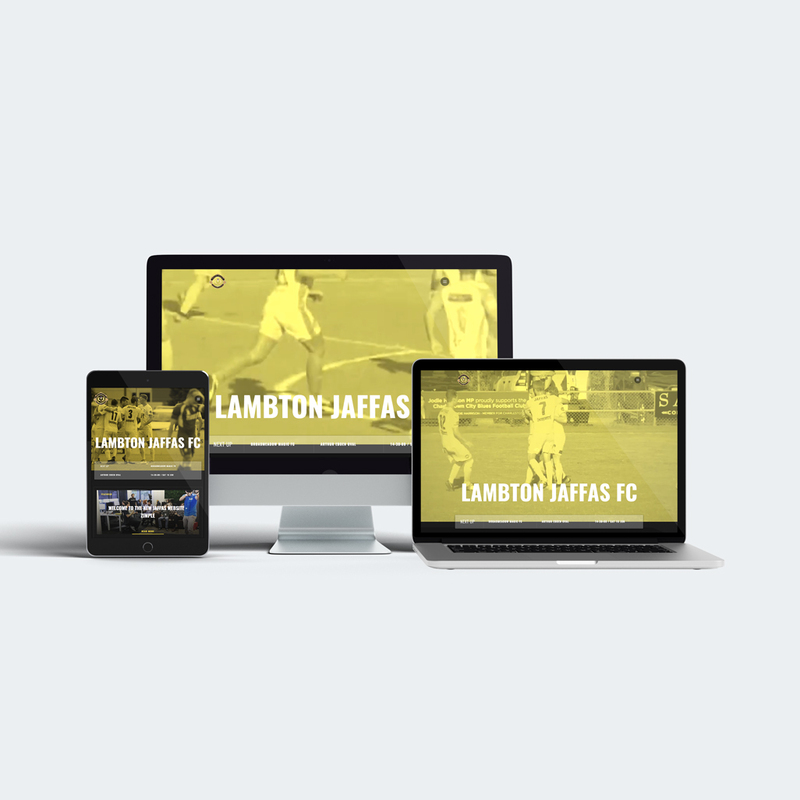 As you might have noticed, the Lambton Jaffa Football Club website has had a revamp; the first step for us to expand our reach. Our community has grown so much over the last few years and we realised it was time to ensure we're keeping everyone up-to-date with news, events and games in the most convenient way possible. Thanks to our sponsors and friends at Zimple Digital, we now have a new website designed to properly represent everything LJFC is and strives to continue to be. After getting involved with the club, Zimple Director Blake Bennett and our very own Ryan Griffiths (who joined Zimple’s marketing team last year) felt the old website didn’t reflect the professionalism and quality that the club deserved, so kindly offered their expertise to create one that did! "Since being involved in the club I've been so impressed with what happens behind the scenes at the Jaffas,” says Blake. “With Chris and the team bringing the club’s players and sponsors together in support of each other, our aim is to create a platform to project that message to the wider football community, online. "We already work with a few fellow Jaffa sponsors on their digital mediums, so it only made sense to also work with the club to bring the site up to scratch." With the brief, 'to lift the website's appeal to match the appeal of the club', the Zimple team really pulled through and we couldn't be more proud of the new Jaffas site going live this week! We hope everyone enjoys the digital platform and community we're creating; for both the club’s benefit, and the people within it. This site is a standout within the Northern Premier League, and it means a lot to us that our supporters enjoy their online experience. *This was not a condition of the site, we swear.